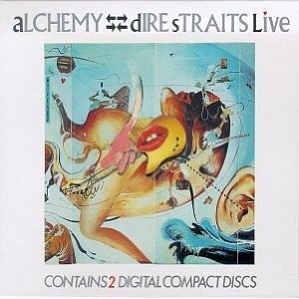 Alchemy is the first live album released by Dire Straits. It was recorded at the Hammersmith Odeon in London on the 22nd and 23rd July 1983. It was released in March 1984. Dire Straits may not have the best image in the 2010s but listening to this excellent album shows why they were so popular in the 1980s. These songs from the first four studio albums have been given more energy in a live environment. The band are allowed to stretch out and properly rock. My only problem is that the Local Hero theme is a weak way to finish such an exciting live album. Do you think this is the best Dire Straits and Mark Knopfler live album? What Are The TWO Best Live Albums By Dire Straits And Mark Knopfler? Please help me to find the best live albums ever by voting in the readers polls. Alchemy is nominated in the poll to find the best classic rock albums. This entry was posted in 1980s Live Albums, Classic Rock Live Albums and tagged 1980s classic rock, 1983 live albums, classic rock 1983, Dire Straits & Mark Knopler Live Albums by Paul Simister. Bookmark the permalink.